We report progress on adding affect-detection to a program for virtual dramatic improvisation, monitored by a human director. To aid the director, we have partially implemented emotion detection. within users’ text input. The affect-detection module has been used to help develop an automated virtual actor. 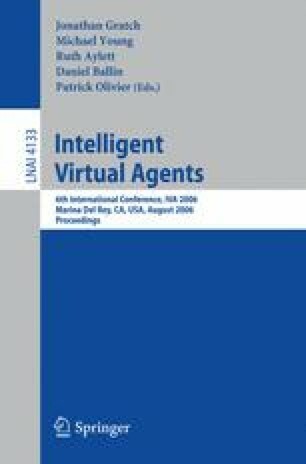 The work involves basic research into how affect is conveyed through metaphor and contributes to the conference themes such as building improvisational intelligent virtual agents for interactive narrative environments.